Emily Condon is no rookie, although that has just been added to her resume. Condon, a seasoned arts/culture writer and film lover who moved from Minneapolis to New York a few years back to work for This American Life, has been hired as the managing editor for Tavi Gavinson's online magazine Rookie. She will be in charge of all editorial content for this brand new magazine for teenage girls that is a brain child of mini-fashion maven Tavi Gavinson of Style Rookie. And how's Rookie doing? 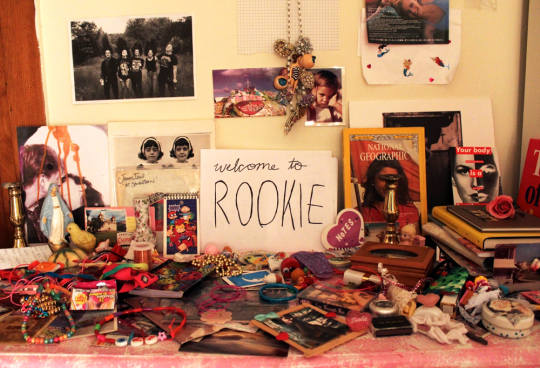 Acording to Tavi, pretty good :"I'm really overwhelmed by the response to Rookie so far! When you work hard on something it's easy to suddenly wonder if you've been inside your own head for too long and second guess how it'll translate to people who don't live in your brain, so thanks to everyone who's been reading and thinking and talking and whatnot, seriously." Rookie is already doing awesome things!